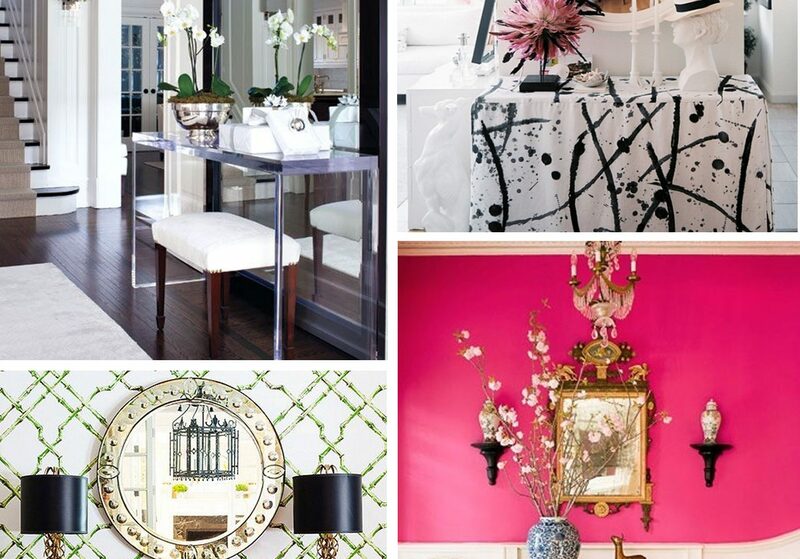 Designer Tip: How to Style an Entryway Table | Havenly's Blog! When we purchase a new coat, a pair of shoes, a new dress… We always assess the value of the item in terms of how much exposure it will get. We take the total cost, divide it by the number of times we’ll wear it, hopefully justifying a potentially heftier price tag. The math isn’t perfect — but the logic is there and works for us! When purchasing new items for your home, the same logic can come into play! It’s hard to justify a large spend on an item that you and your guests rarely use or see. 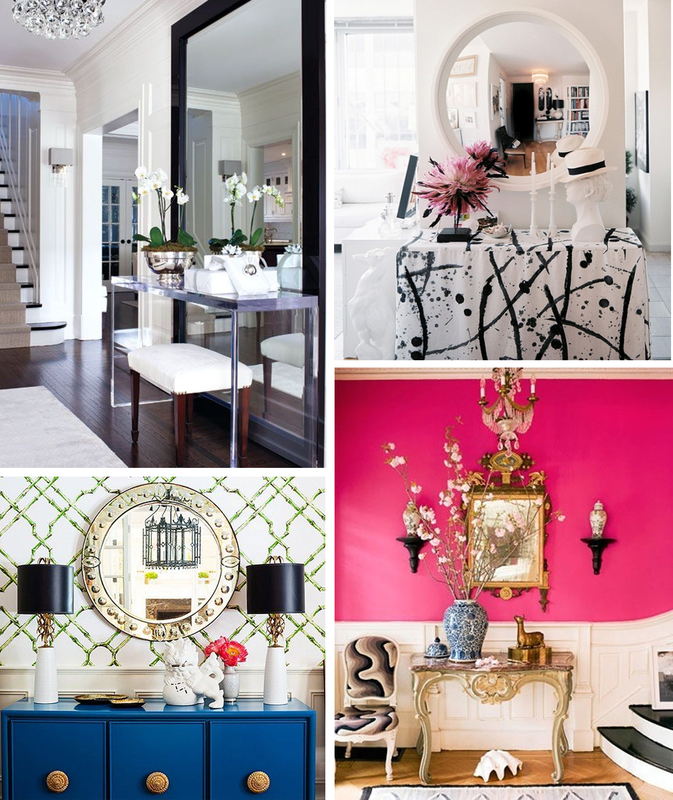 However, investing in the high traffic/ high impact areas of your home seems much easier to do. 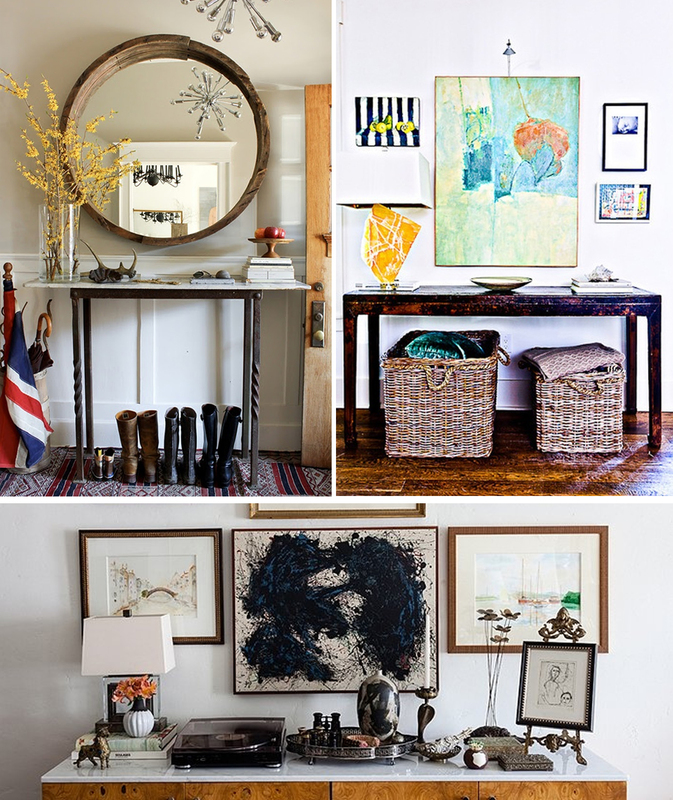 So… let’s talk about styling your entryway. What area of your home is more visible on a daily basis? First and last impressions matter! We love a functional yet attractive and well-styled entry area that makes you and your guests feel happy as soon as you open the front door. A lovely entryway console table can make all the difference! Entry consoles are the perfect place to tuck away extra seating. Vanity stools, garden stools, or an upholstered bench are options that not only dress up your entryway but serve as additional seating for . This tip is especially handy in a small place when you might need extra seating for entertaining that you don’t want out all the time. 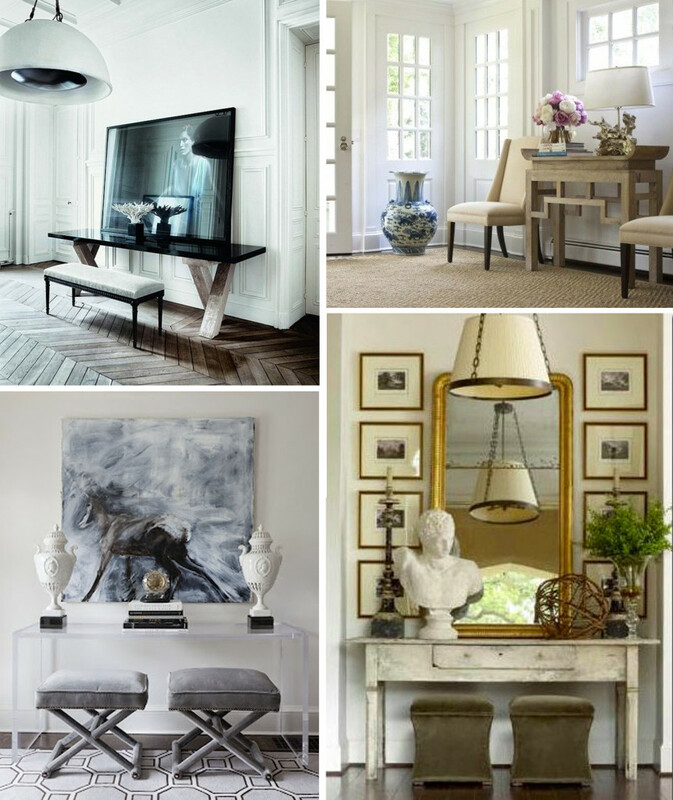 If you are lost as to where to start with your entry console, look first for a table lamp and mirror, the main staples of a welcoming entryway. This is the first and last space you see as you come and go from your place– make it beautiful! A decorative round mirror flanked on either side by lamps creates a pleasing symmetrical look while a floor length mirror behind your table allows you to check out the FULL you before you walk out that door. Sconces and candles are great lighting alternatives if table lamps feel a bit too heavy. Your entry console should be just as functional as it is beautiful. Don’t be afraid to make it look as though you actually live in your home. Storage baskets for shoes or extra blankets fit perfectly under a console. Trays, bowls, or plates can serve as unique accents while allowing your console to be a landing strip for keys, mail, sunglasses– you know, the stuff you’re always losing! If your entryway is also in need of a little TLC, let’s tackle this project together!